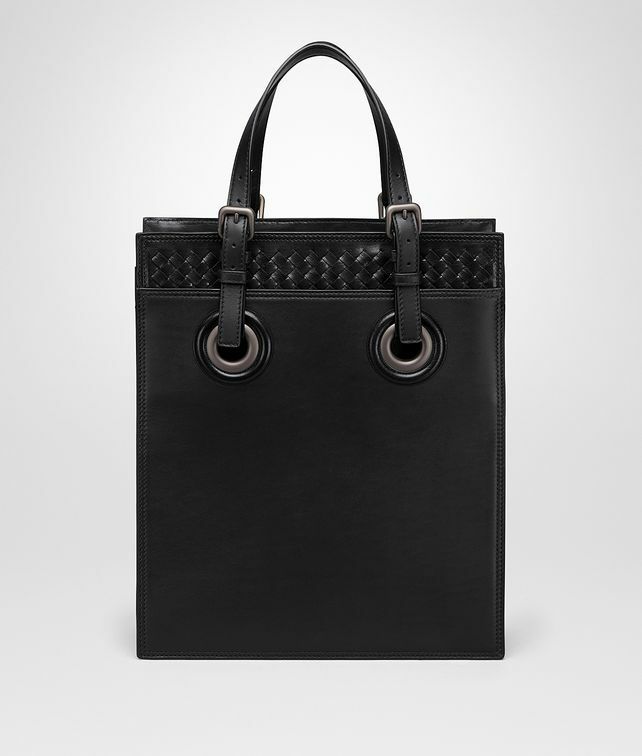 This tote bag is crafted from premium French calf leather to a clean, structured style—with accents in shiny intrecciato to add a tactile, nuanced touch. The front and back panel create two ample flat pockets, embellished with oversized eyelets—a heritage detail that nods to sailing and classic outdoor sports. The spacious interior is lined in cotton and fitted with two flat pockets and a zip pocket. Adjust the long leather handles for a comfortable carry, or attach the shoulder strap to go hands-free. Height: 38 cm | 15"